Sometimes in this this life on earth you may get chimps of heaven. 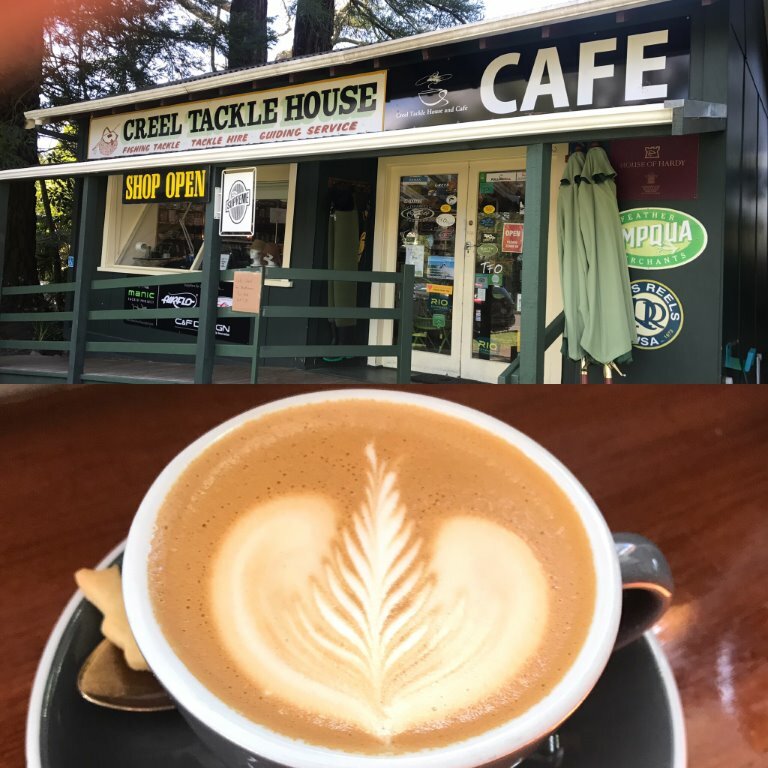 Welcome to the Creel Tackle House & Café (fly-fishing shop established 1920). Relax make yourself comfortable. All the food serviced is made right on the site including their pastry fresh daily except the croissants which are imported frozen from France. 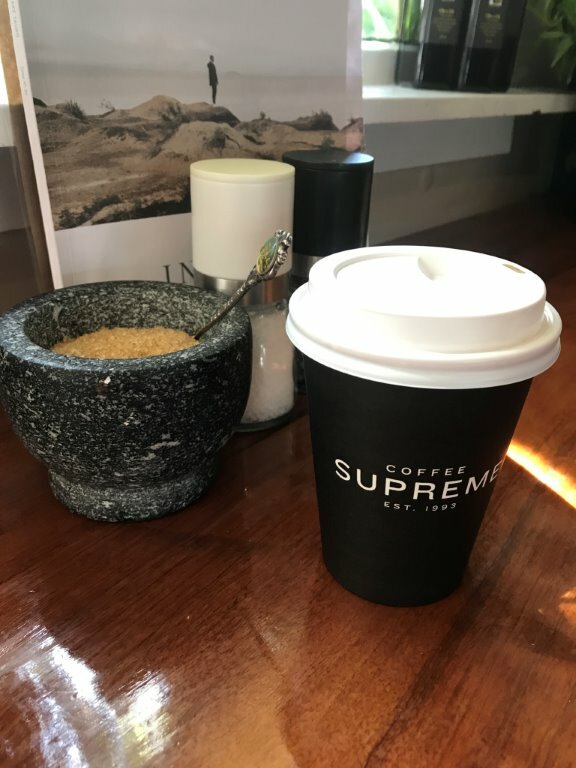 All coffees are a double shot (which appears to be a standard practise in New Zealand) and they will not over heat the milk unless asked. You also receive a little short bread biscuit in the shape trout – very nice! Breakfast stops at 11 am, for preparation for lunch, but the bagels are available all day. 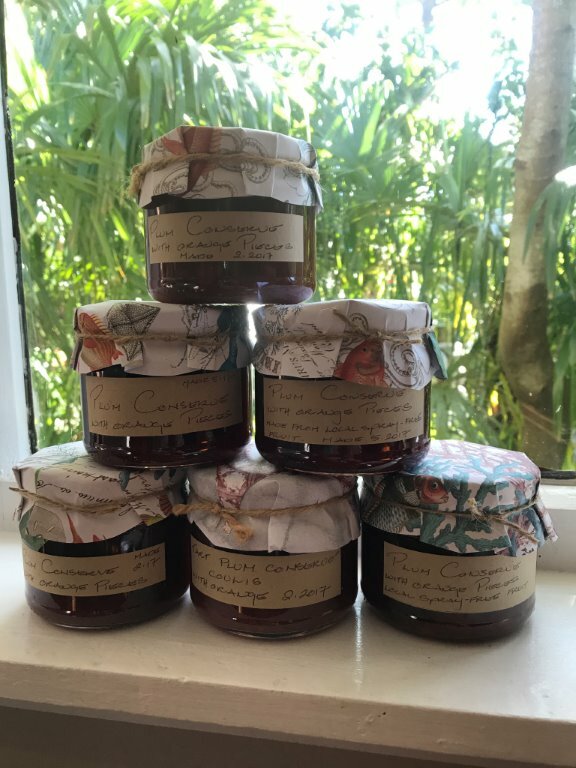 They have selected produce on the window sill and in the shelves behind the food cabinet with is for sale, if you have time browse their homeware/gift shop section, which changes constantly and is sourced locally and from overseas. The furniture used in the café is stunning made from local hardwood rimu and black myra and is for sale. So, if you are travelling from Auckland to Palmerston North, you will pass through Turangi. Do yourself a favour drop in to this great café and enjoy a coffee and breakfast New Zealand style.